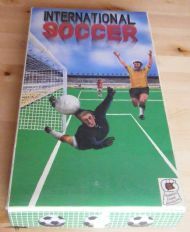 Easily the most fascinating and original game in my collection. 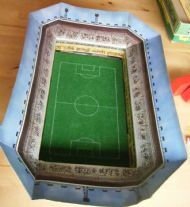 Produced by Godfrey Evans Ltd and comprising of a stunning stadium and a couple of catapults to throw dice onto the pitch - truly bizarre. Beautiful football illustration on the lid. 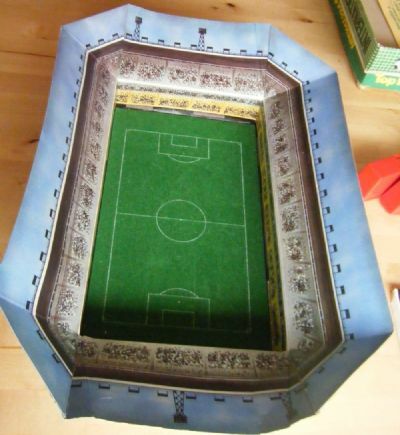 Remove the lid and the box opens out into a stunning printed football stadium with baize pitch. 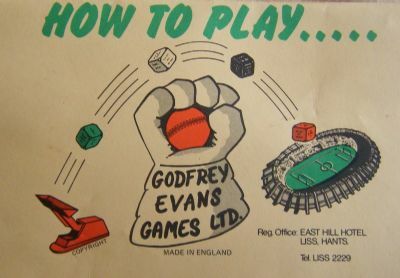 Godfrey Evans was a cricket international hence the company logo. 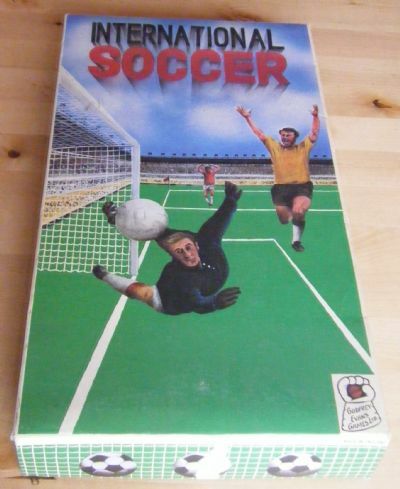 The game comes with two elastic band powered catapults. 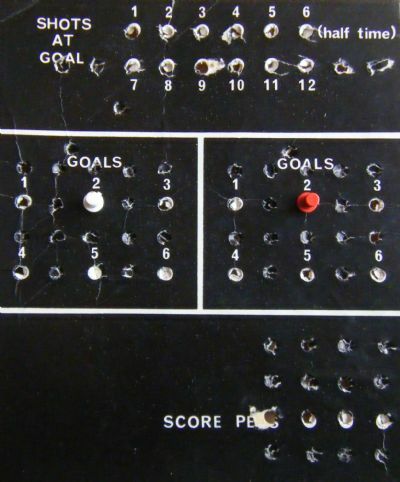 Lob 4 dice into the stadium and check to see if your dice enable you to throw the 5th green dice to shoot at goal. 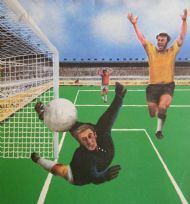 Colourful illustration for the box lid. 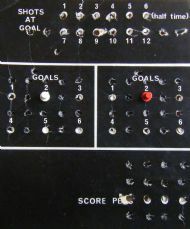 A well used card scoreboard with red and white plastic pegs. 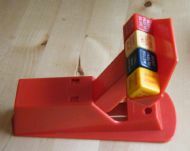 A set of 5 coloured dice hurled into the arena by the catapult!